Why most of the Self-Made Billionaires are College Dropouts ? school/college. That’s what I called Real Life Skills. Go out in road, help an old lady/man in crossing road, the blessings you will get from that old lady/man are 500 times more soul satisfying as compare to your own A+ report card. Reason behind this is because at the end of the day it doesn’t matter how smart or brilliant you are in getting A+ Grades but if you can’t become super-hero, if you can’t help community or world to become a better place then you are living selfish life. If you look at Billionaires and successful people, they all have their own ideas to make world a better place, Example: Bill Gates’s idea of personal computer helped to bring power of computer in everyone’s home, Steve Jobs bring revolutionary ideas like iTunes for purchasing high quality music, iPad for Tablet computing brought drastic change in many people’s lives. Remember I asked you a question at starting of this article, what’s makes these Self-Made Billionaires who are college dropouts so special as compare to you or your friends who failed in their college exams, here is your answer: they didn’t drop-out of college because they were dumb but they have different perspective to look at their life, some have amazing idea to change the world, some want to follow their passion or some want to pursue Art or some doesn’t fit in education system a.k.a miss-fits. Our Modern Education System can teach you many cool science tricks but one thing that is most important in life is your Mindset & Culture which our education system has failed to teach you how to have a right mindset to achieve success or groom a nice culture in our self to become best version of ourselves. Personally, I never got A+ grade in exam, I’m a C and D student in my school and college but still I love science and doing scientific experiment at home when I was a kid. When I grow up I realized that Schools and Colleges are good for socialization and having fun with friends, but when it comes to achieving success or accomplishing a dream you have to figure it out by yourself because somethings in life can’t be learned in classroom. I have been failed, I have been success and I have learned many life lessons in my entrepreneurial journey to becoming C.E.O & Founder of Ephrine Apps which is my first app business venture started in 2nd year of B.Pharm (Bachelor of Pharmacy). 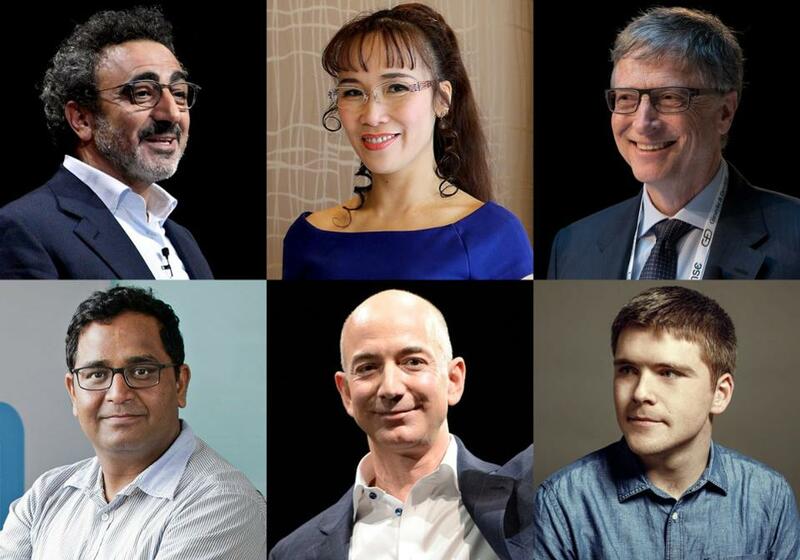 now some of you may or may not agree with me but the fact is if you look in Forbes Top-50 Billionaires list you will notice that Billionaires & Successful people have completely different mindset and culture which can’t be learned if you follow education system blindly.